My two younger girls are in year round school. Unfortunately what that means is we have to buy our school supplies in early July, way before the sales start. In August though I still do try to take advantage of the sales and stock up on all the goodies. I am somewhat of a pen and pencil addict so I admit that I also buy for my own stash. Bic has introduced some new products for Back to School that are certain to get your kiddos excited. My favorite? The BIC 4 color - My favorite pen when I was little was the BIC 4 color pen and that has not changed. Since I am getting up there, I can tell you this pen has been around for quite some time! It is a classic that never goes out of style! My daughter Miss E. loved the BIC correction tape and BIC mechanical pencils (Xtra Shine) the most but you can check out the variety below and select your favorite! BIC Kids Mechanical Pencil comes in pink or blue, and includes an eraser and lead refill with six leads. Can be personalized with stickers. ARV $3.49. BIC Kids Pen is available in purple or green, and includes stickers for personalization. ARV $3.49 I liked that this was kid sized and ergonomically designed for children. BIC Kids Stylus offers an innovative tool for small hands that helps children navigate tablets in the classroom or at home. The stylus has a soft grip and comes in black with a yellow guiding line. The BIC Kids Stylus has a SRP of $3.49 for a one-pack. BIC® 4-Color™ The iconic BIC 4-Color pen was the first of its kind, providing the convenient ability to choose from four ink colors (red, green, blue or black).Today, it remains a favorite among students and teachers. The new BIC 4-Color Metallic is available in five vibrant, metallic barrel colors: silver, turquoise, pink, lime green and purple. It is the same great pen, just with a new, exciting look! The BIC 4-Color Metallic pen has a SRP of $2.99 for a one-pack. BIC Atlantis® Exact The new BIC Atlantis Exact has a fine point for exact, precise lines and clean writing! With a full grip area and smooth ink system, BIC Atlantis Exact is perfect for the studious note-taker. The BIC Atlantis Exact has a SRP of $3.99 for a three-pack. 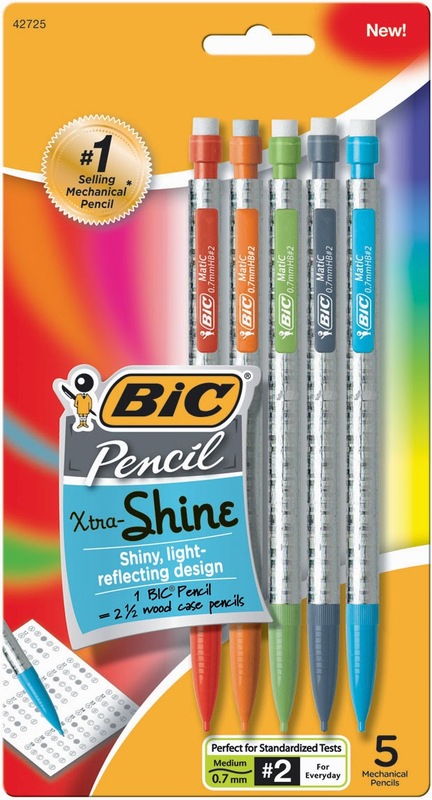 BIC® Mechanical Pencil – Xtra Shine a back-to-school favorite for years, is now available in a fun, new shiny, holographic design! ARV $2.20 for a five-pack. Before you finish your Back to School shopping, make sure to check out the new BIC product line! Disclosure: Thank you to BIC for this review opportunity. Images, information and products were provided by BIC. I was not required to write a positive review and all opinions expressed are my own. I like to try new and different beauty products. 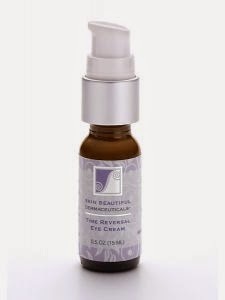 As I have gotten older, eye creams have become a more critical part of my skin care regime, especially those made from natural ingredients. Skin Beautiful Dermaceuticals (SBD) is the first advanced skincare system designed to cultivate and awaken both inner and outer beauty by incorporating daily affirmations, or Affirmacizes, into a daily beauty skincare ritual that fights the signs of aging and manifests in purely radiant skin. All Skin Beautiful Dermaceuticals™ products are natural based, and are free of parabens, artificial fragrance and colorants, phthalates, and formaldehyde releasing preservatives. I was given the opportunity to review the SBD Time Reversal Eye Cream. The first thing I noticed that it came in a glass bottle vs. a plastic one. I actually prefer glass because I do not have to worry about the chemicals in the plastic leaching out to the product). There was a pump that was used for dispensing the product - another plus for me - you get the right amount of product without contaminating the jar by using your hands to apply. The product itself was very rich and emollient but most important, non irritating. I have very sensitive eyes which is why I do not wear contacts and am very selective about what cosmetic and skin care products I use. This was easy to apply and absorbed quickly. Marine Filling Spheres™ (Sodium Chondroitin Sulfate, Atelocollagen): Dehydrated collagen and glycosaminoglycans microspheres penetrate and swell 10 times their volume in the presence of water, immediately filling in fine lines and small wrinkles in as little as one hour. After remaining in the hollow of the fine lines and wrinkles, these microspheres are eventually degraded by enzymes and slowly release the water initially taken up, providing an ongoing resevoir of skin plumping and hydration. Matrixyl 3000 ™ (Palmitoyl Oligopeptide & Palmitoyl Tetrapeptide-7): A synergistic blend of anti-aging peptides clinically found to stimulate collagen, reduce wrinkles and speed up the skin’s natural repair process. Myoxinol ™ (Hibiscus ecculentis extract): A vegetable alternative to Botox®, Myoxinol™ is a patented complex of oligopeptides obtained from the seeds of Hibiscus esculentus (okra) Extract. Studies show these botanical peptides reduce muscle contractions for up to 24 hours and reduce wrinkles by 26% after only 3 weeks. At $30 I find this a reasonable price for an eye cream. The bottle is generously sized (.5 oz) and a little bit of this product goes a long way. With the pump dispensing mechanism, you will be using the right amount of product without excess or waste. Finally you are getting a product that is designed to be nourishing and effective but without harmful added chemicals. If you are interested in trying but do not want to commit to a larger purchase initially, samples of the are available for $3 (plus shipping). Orders over $50 receive free shipping AND there is currently a coupon for 20% off on their site. I am not sure how long this promotion will be running for so hurry and check it out if interested. Thanks to Skin Beautiful for the review opportunity! Disclosure - I received a product for review purposes. I did not receive monetary compensation and I was not required to write a positive review. All opinions expressed are my own. One thing I cannot stand is to not be comfortable when sleeping. We recently purchased a new bed and that has helped with getting a good night's rest but a good mattress alone is not the complete solution. Recently I was asked to review Novosbed Pima Cotton sheets and coincidentally I was also asked to review Reverie Pillows. We like to keep two sheet sets on hand - when we change the sheets we have a clean set ready to make the bed up with. Recently the fitted sheet on my preferred set ripped and I planned to purchase a new set. When the opportunity for review came up I jumped on it. These are absolutely the BEST sheets I have ever used. Have you ever gone to a luxury hotel and after a great night's sleep wondered where they found their fabulous sheets? This is what that the Novosbed Pima Cotton sheets reminded me of. I was able to review the King sized sheets in brown. The color was great - not too dark and not too light. The sheets fabric is heavy weight, but soft and silky with a high thread count. Even though the weight is heavier, it was completely comfortable to sleep in, even in summer. My husband does not usually say a whole lot about products I review but he has commented several times on how much he prefers these to the Novosbed Pima Cotton Sheets to what we were using before. "Pima cotton is an extra long-staple cotton, which is an indicator of quality and longevity. It typically has a staple of at least 1 3/8″ or longer, guaranteeing the cotton’s excellent durability and long product lifespan. Pima cotton is 100% USA-grown, coming from areas such as Arizona, California, Texas, and New Mexico. 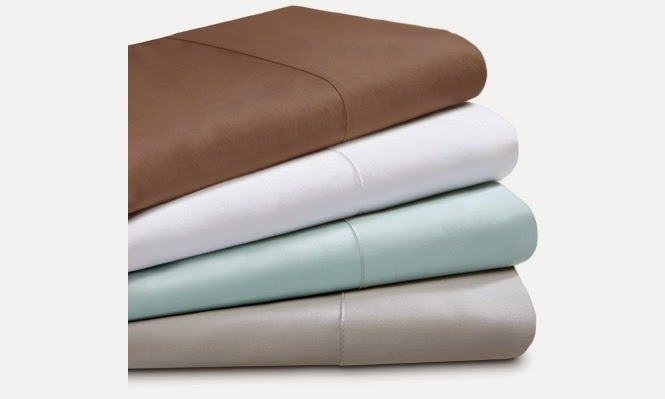 Novosbed’s pima sheet sets are guaranteed to last for years, maintaining their soft feel and velvety sateen weave"
These sheets are a little bit more on the pricey side but worth the investment ($159 USD for a Queen set and $179 USD for a King set). I actually started using these pillows before I reviewed the sheets. Again, the request for a review came at a perfect time.... my pillows had flattened quite a bit and even with 2 - 3 pillows, I was waking up with neck pain. 1- 2 was not enough support but 3 gave too much lift. The Reverie Sweet Slumber Pillow was the perfect amount of thickness and it was easy to fluff the pillow to my personal comfort level. I have not been waking up in the morning with my usual stiff neck and I am waking up less throughout the night. What I liked most is that because the fillers are shredded latex vs. fiber fill, foam or down, the pillow retains it's shape. One thing I will note is that the latex scent did bother me when I would first lay down. Ironically when I started using the Novosbed pima pillowcase, the fabric was woven tight enough that I could no longer detect the scent. If you are someone that finds it difficult to get comfortable at night, this may be a great solution for you. I would not recommend it to anyone with a latex sensitivity or allergy but for most this may be the solution you have been looking for. I have been using the pillow a couple of months and it looks the same as it did the day I received it. If you are looking for a better night's sleep, new bedding may be the solution! Thank you to Novosbed and Reverie for the review opportunities. Disclosure: I was provided with a product for review purposes. I did not receive monetary compensation and I was not required to write a positive review. All opinions expressed are my own.